An unknown tech company from the Netherlands, called Wooting, has made headlines with the release of a new keyboard that is said to be the world’s first analog keyboard. The new device is called Wooting One and is aimed exclusively at gamers. Ordinary keyboard keys have two positions only – pressed and not pressed. 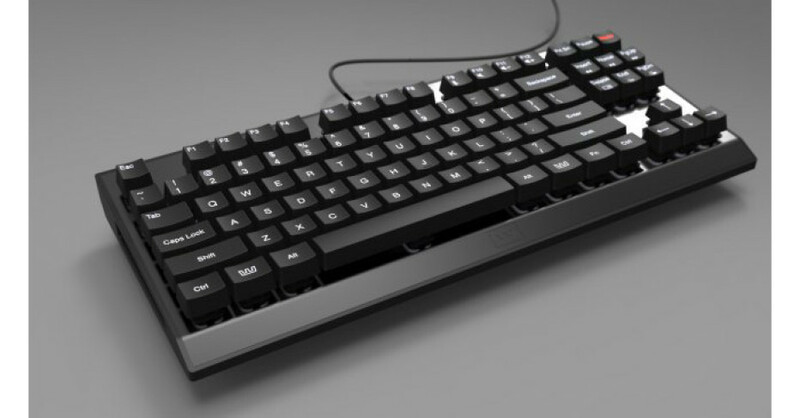 Wooting One builds on this by including several operational states inside each keyboard key. This allows a single key to perform several actions depending on the pressure applied hence an analog keyboard can do much more compared to a regular keyboard. Sadly, there isn’t much more information on the Wooting One keyboard except that the software inside it will allow gamers to adjust the analog functions for each game they play. Moreover the new keyboard will likely be able to emulate joysticks in case certain gamers prefer that way of playing. The Wooting One will also be a tenkeyless keyboard (meaning it will not come with a numberpad) and will be RGB backlit, which is a nice addition to all other features. The release date of the Wooting One and the price of this keyboard are still unknown, which is another downside. In any case, however, the Wooting One keyboard should not sell for more than USD 150.